Zika is a viral illness that can be spread to people through mosquito bites, from mother to child, and via unprotected sexual contact. Zika virus was first discovered in a monkey in the Zika Forest of Uganda in 1947. Before 2015, outbreaks of Zika were reported in areas of Africa, Southeast Asia and the Pacific Islands. In 2015, outbreaks of Zika in Brazil and other countries in South America were reported; these outbreaks are currently ongoing. Outbreaks have also been reported in the Pacific Islands. In 2016, Zika cases were identified in South Florida. These cases were the first known locally acquired cases of Zika in the U.S. To date, there have been no cases of locally acquired Zika infections in Hawaii. Zika virus infection during pregnancy can cause microcephaly and other severe brain defects, and has been linked to other problems in pregnancies such as miscarriage, stillbirth and birth defects. Several countries that have experienced Zika outbreaks have reported increases in people who have Guillain-Barre Syndrome (GBS). This syndrome can cause weakness of the arms and legs. In severe cases, GBS can affect the muscles that control breathing. The link between GBS and Zika is currently being investigated. The illness is usually mild with symptoms lasting for several days to a week, so people usually do not go to the hospital. Death from Zika is very rare. 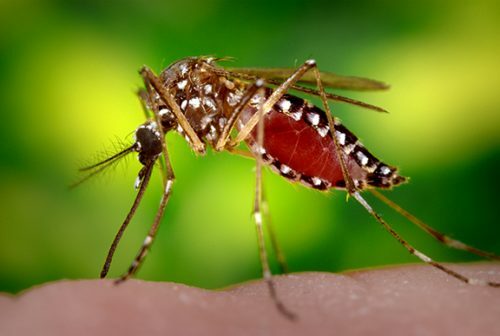 People are infected with Zika virus primarily through the bite of an infected Aedes aegypti or Aedes albopictus mosquito, which are the same mosquitoes that spread dengue and chikungunya. The mosquito becomes infected when it bites a person who is already infected with the Zika virus. It takes a week or more for the Zika virus to replicate in the mosquito; then the mosquito can transmit the virus to a new person when it bites. In women infected while pregnant, the Zika virus has been reported to be able to be passed to their baby, either during pregnancy or around the time of birth. Zika virus also can spread from an infected person to his or her sexual partners. It is not yet known how long the virus can be spread this way after the infected person’s symptoms have cleared. Other modes of transmission that are possible but not as common are transfusion of infected blood, transplantation of infected organs or tissues, breastfeeding, or occupational exposure in healthcare setting. There is no evidence that Zika is spreading through touching, coughing or sneezing. The diagnosis of Zika is based on a combination of clinical signs and symptoms, recent travel history, possible exposures, in addition to laboratory testing of the blood, serum, cerebrospinal fluid, other body fluid or tissue. If you have flu-like symptoms and recently traveled to an area affected by Zika, you should contact your healthcare provider for care and evaluation and stay indoors as much as possible to avoid mosquito bites and help prevent possible spread of the virus. Pregnant women who live in or have recently traveled to an area with Zika should talk to their healthcare provider about their risk of Zika virus infection even if they do not feel sick. They should be tested for Zika infection even if they do not have symptoms. There is no vaccine or specific treatments for Zika. Treatment is supportive. Bed rest and acetaminophen (Tylenol) to treat fever and pain are recommended. Patients are advised to drink fluids to prevent dehydration. Aspirin and non-steroidal anti-inflammatory drugs (like ibuprofen) are not recommended as they can increase the risk of bleeding. If patients are taking medicine for another medical condition, talk to a healthcare provider before taking additional medication. Once a person has been infected with Zika virus, they are likely to be protected from future Zika virus infections. Zika is not endemic in Hawaii. There have been no locally acquired cases of Zika. All of the cases identified in Hawaii have been travel-related (or imported) and infected while outside of Hawaii. However, Aedes species mosquitoes being able to transmit Zika virus are present in Hawaii. Aedes albopictus is widely spread throughout the state, and Aedes aegypti has been demonstrated in sites on Hawaii Island. Hawaii’s climate creates a year-round mosquito season. 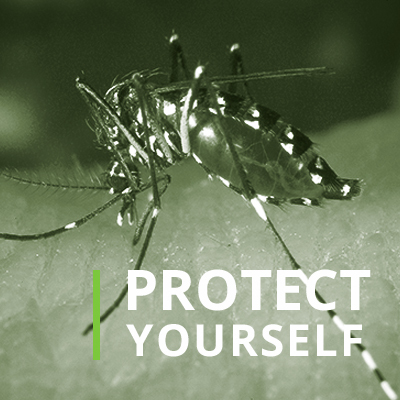 Therefore, it is important that individuals with Zika should protect themselves from further mosquito bites during the first two weeks of illness to prevent local transmission of the disease. The Hawaii Department of Health are enhancing surveillance, prevention and mosquito control efforts. Residents should take basic precautions to protect themselves from mosquitoes by following the Department of Health recommendations. Avoiding being bitten by mosquitoes in areas with Zika. Avoiding unprotected sexual activity with partners who have recent travel history to areas with Zika. Apply Environmental Protection Agency (EPA) approved mosquito repellent to exposed skin areas as recommended by product label. All people returning from areas with Zika should avoid mosquito bites for at least three weeks after returning. If you are going to be traveling, check before leaving if there is a risk of Zika at your destination, and if so, be sure to take precautions against mosquito bites. For specific travel information and recommendations, visit the Centers for Disease Control and Prevention (CDC). Zika virus infection is notifiable in Hawaii. Healthcare providers are required to report suspect Zika virus infections by telephone to the Disease Outbreak Control Division, Disease Investigation Branch on Oahu, or to the District Health Office on the neighbor islands as soon as a provisional diagnosis is established. The State Laboratory Division (SLD) of the Hawaii State Department of Health (HDOH) can perform several different tests for Zika. The real-time reverse transcriptase polymerase chain reaction (rRT-PCR) and serologic (immunoglobulin M [IgM]) testing can be done by SLD. Any positive or equivocal IgM result requires follow up testing by plaque-reduction neutralization test (PRNT), currently only available through HDOH at the Centers for Disease Control and Prevention (CDC). Men and non-pregnant women who develop signs and/or symptoms** consistent with Zika virus infection within 2 weeks of potential exposures. Pregnant women, with or without symptoms, who returned or are from an area with Zika within the last 12 weeks. Women who were not pregnant at the time of their return from an area with Zika but got pregnant within 12 weeks of return, when partners traveled and/or returned with them. Women who were not pregnant at the time of their return from an area with Zika but got pregnant within 8 weeks of return, when partners did not travel and/or return with them. Asymptomatic men, or non-pregnant women, do not meet testing criteria and will not be tested for Zika virus infection by the State of Hawaii Department of Health. ** To be considered symptomatic, the patient must develop two or more Zika-compatible symptoms including fever, rash, joint pain, and/or conjunctivitis. After obtaining approval from HDOH, submit the specimens to SLD along with the completed Clinical Specimen Submission Form (SLD Form 81.3). All specimens should be routed to SLD through a certified clinical laboratory. Results are reported 5–7 days after approval and receipt of specimen(s) at SLD. Any positive or equivocal IgM result requiring follow up testing by PRNT at CDC takes at least 3 weeks after specimen receipt. If healthcare providers pursue Zika testing through a private commercial lab, consult clinical laboratory for send-out options. Currently, several commercial labs offer PCR and IgM testing for Zika virus. Healthcare providers should follow CDC testing criteria for whom to test and guidance for what should be tested. Please see CDC Guidance for U.S Laboratories Testing for Zika Virus Infection.